Wow, we see everything today for men's wedding attire. It has to do with where, when and what the couple believe works best for the setting or style wedding they are planning. From black tie formal, ethnic styles, and great looking suites to exciting floral shirts, the selection is fun. We'd love to have your input on what you have in mind for your wedding day celebration! 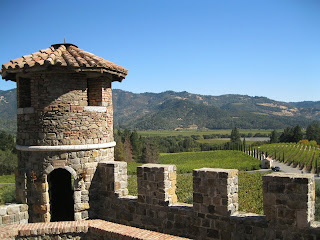 So why publish a photo of this castle in Napa Wine Country. We know you cannot get married at this Napa Valley castle, but you can have fun tours, events and dinners. There are many wineries who will not do weddings & receptions but will do unique and wonderful tours, picnics and dinners for your guests while in the area. Request a free copy of our "Best Style California Wedding & Honeymoon" e-Magazine for inspiring wedding venues & award winning services throughout Ten Regions of California. Couples realize many of their wedding guests are coming from far away and some think about giving them a nearby accommodations list. Many couples hosting destination weddings in regions will make it part of their plan to have tours available they may all go on. WeddingLinks.co includes most area's Tourism Bureaus in the Area's Services Menu. Many of the wedding venues and hotel websites include a list of local tours. I have listed a few ideas below and we would love to have you join us with your ideas regarding your wedding region. 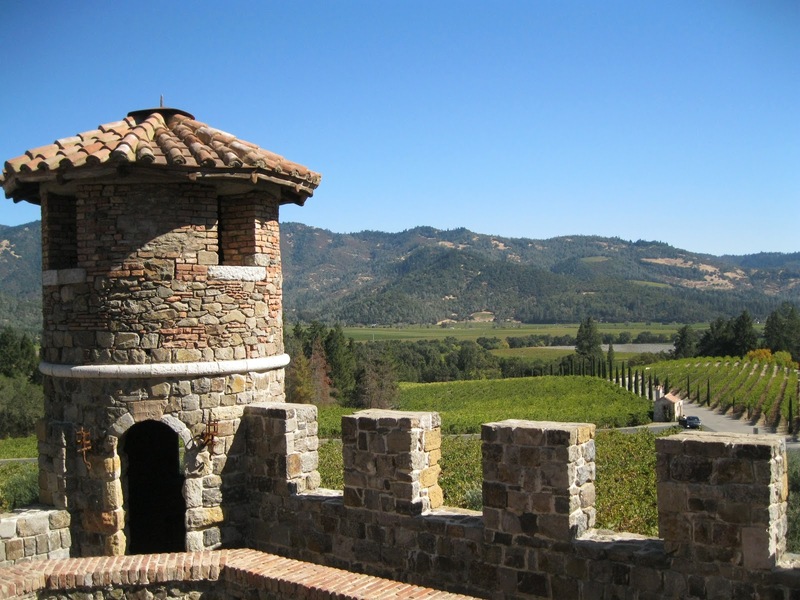 Sonoma and Napa wine regions: wine tours, private wine tasting, hot air balloon rides, Safari West tours, Coppola's swim and museum, Charles Shultz Museum, Green Music Center and the Napa Wine Train are fun experiences. There are hundreds of wineries in these counties. San Francisco night club tours, walking the Golden Gate Bride as a group, Greyline city bus tour and take the Bart around the Bay Area if you do not have local transportation. The museums and art are amazing. Los Angeles and Orange have the Disneyland idea with MGM as another favorite tour. Greyline takes you to Grahams etc for a variety of tours. From Gene Autry to Getty -- the museums are awesome. New York City holds a vast array of nightclub and top theater musicals and plays for enjoyment. We also found tours for the Rockettes to the Statue of Liberty. The Caribbean Islands include a nightclub evening, snorkel day cruise, Ragga music and dances, moonlight cruises on sailboats and beach parties. Hawaii is one big beach party and awesome hikes, sailings and water sports. While Pearl Harbor is somber, we know you will enjoy the unique trips to a live volcano and furtherest views of the stars!!. Take a look at where you are hosting your wedding and determine what might be of interest to your guests. Planning a wedding can be very stressful. This is a given. It is also stressful for the person who shows you their venue and the services with time set aside for appointments for your interviews. Time is a precious commodity for everyone. I would like to give you a few tips on the bridal world management etiquette. 1. You are dealing with people who have amazing knowledge regarding their services and many have schooled themselves for years. They set time aside to listen to your requests, and then explain how they can create their part of your dream wedding and reception. 2. If you are not planning to show up for the appointment, give them a call, leave a message about whether you decided on someone else, or need to move the date and time. 3. Last minute Changes can be difficult. To change flowers after the florist has gone to the market for your selections. Caterers who have to add more food, or less food, designs on decorations and table placement settings. These all add up to stress between bride, groom and the service. 4. Go over your reception timing with person in charge. 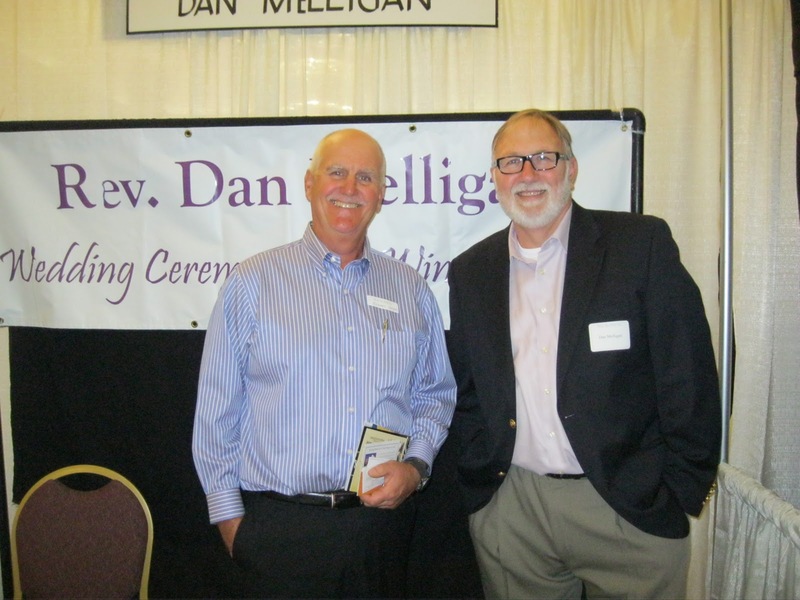 This could be your wedding planner, your dad or mom, your musicians or venue hostess. This way things run smoother with a timeline. 5. People forget verbal instructions. Make certain things are written down and given to attendants, services and groom. Addresses with zip codes and delivery times are very important to your services and the attendants. I have done a few "day-of" weddings where after the rehearsal the attendants did not know where the rehearsal dinner was being held. Wow! Please understand when you sign a contract, there may be paragraphs regarding deposits. Read them carefully. Please never sign an agreement the first day you meet someone. Review their name and reputation prior to contracting. Share with us your favorite beauty tips...here are a few of mine for brides and bridesmaids. Being frazzled up to the last minute does not equate to an elegant and beautiful bride. You want to get everything done ahead so you can take it easy and pamper yourself the last several days. Too many last things to do toward the wedding, the wrong foods, not enough rest and drinking alcohol all show up on your face the day of your wedding. 1. Tips for your skin - shampooing your hair in the shower allows the water to cascade down over the face. Find a new method to shampoo and rinse that keeps this off your facial skin. Most hair shampoos are so strong, they can scrub your tub. Many ladies complain that it make their skin breakout and never let the color rinse or color treatments get on your face. Drinking lots of water and good amounts of fresh veggies and fruits bring a glow to your skin. Because toxins store in the lower tract, keep the lower tract clear, and daily or bi-daily exercise will bring a healthy glow to your skin and firmness to your body. Always cleanse the face before retiring for the night. Perspiration, makeup and dirt will go down in the pours at night. The back of the neck receives major dirt from the hair. If you work at a computer, this electric device draws dirt and dust to your body. 2. Tip on dieting - many of us go on extreme diets, cutting out various foods, drinks etc. These changes in habits are what is needed for a diet, BUT nearing the time of the wedding, there are parties, rehearsal dinners where we introduce food and drinks back into our bodies.....these can have a very adverse affect on our system. Small amounts of these "new foods/drinks" can cause major headaches, stomach aches, nausea and the jitters - so be aware. 3. Tip for photographs - Make-up artists are a great idea so you can gain a better visual impact on your wedding photos. It is surprising how a white dress can fade out our natural appearance. 4. Traveling for your destination wedding or honeymoon?? The airlines are very determined we do not bring specific size items off hair and skin (solutions) aboard. Place what you will need in smaller plastic bottles. Check with the airlines for what is recommended, where it may be carried and what is not allowed. 5. There are many beautiful wedding veil ideas available. Look for the styles and sheerness that allows people to see your glow. Sometimes brides walk the aisle and no one can see how happy and beautiful they are because the veil overwhelms they and their dress. P.S. A series of facials scheduled months in advance of your wedding date will do a lot to add to your glow. Always see a trained and certified professional that uses the best products and offers years of experience. No matter how much of a do it yourself gal you are, please find a great pro in your neighborhood. Do not leave this to just before the wedding.